On Friday 7th September at 7am, the O’Callaghan Collection team were put through their paces as they hopped on stationary bikes and treadmills outside two of their Dublin city centre hotels; The Mont Clare Hotel on Merrion Square and The Green on Stephens Green, to begin a day of non-stop cycling for Irish Guide Dogs for the Blind, Irish Cancer Society and Irish Hospice. Working in relays throughout the day, over 100 employees, either running or cycling, covered a whopping 1,300km, over double the distance from Malin to Mizen Head. They initially considered cycling the actual route, but decided they couldn’t leave the hotel guests to check themselves in! While there were no medals at the end of the day, their sights were set on an equally impressive goal; a fundraising target of €30,000 for the Irish Guide Dogs for the Blind and the Irish Cancer Society. 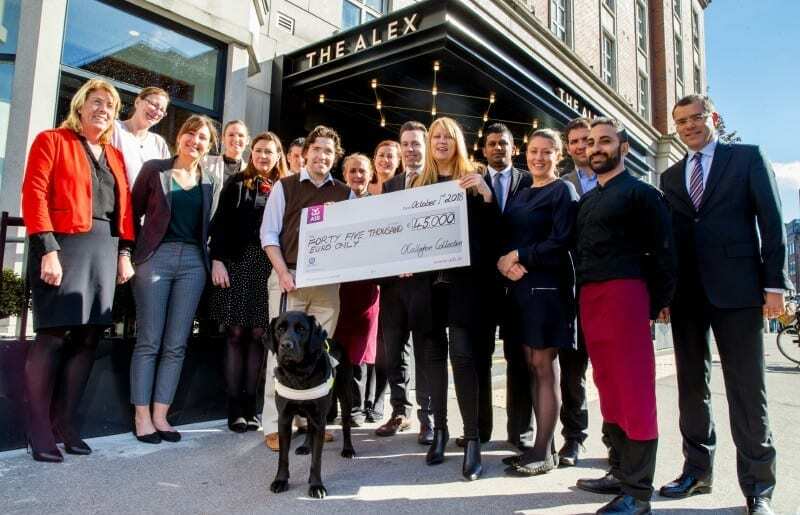 With the overwhelmingly kind support of their suppliers, partners, and indeed the public, O’Callaghan Collection managed to easily exceed the fundraising target set and raised a massive €45,000! The O’Callaghan Collection Team would like to thank everyone who played a part in this event. Not only did they raise much needed funds for these three very worthy charities, but it was also an opportunity for the entire team to enjoy a day of fun and fitness. The team are seeing the benefits and to keep it up are making a conscious effort to take the hotel stairs instead of the lifts! O’ Callaghan Collection look forward to supporting our charitable partners later in 2018.